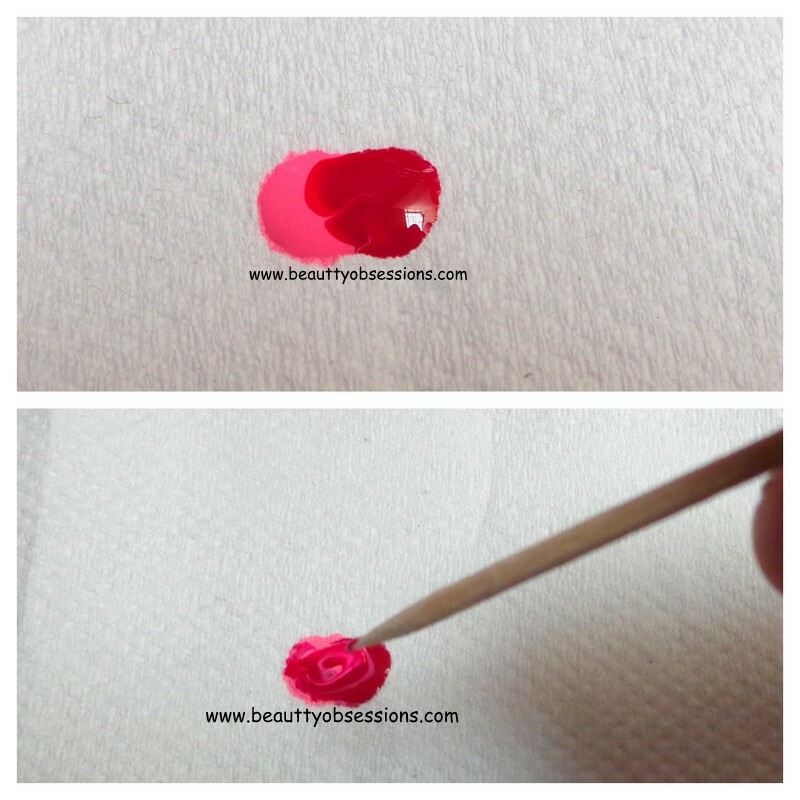 Rose Flower French Tip NailArt Tutorial.. 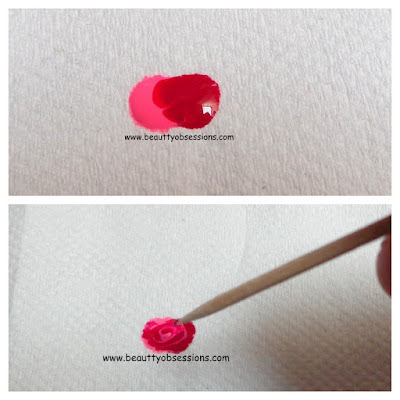 So in this tutorial I am going to draw a rose flower french tip art.. 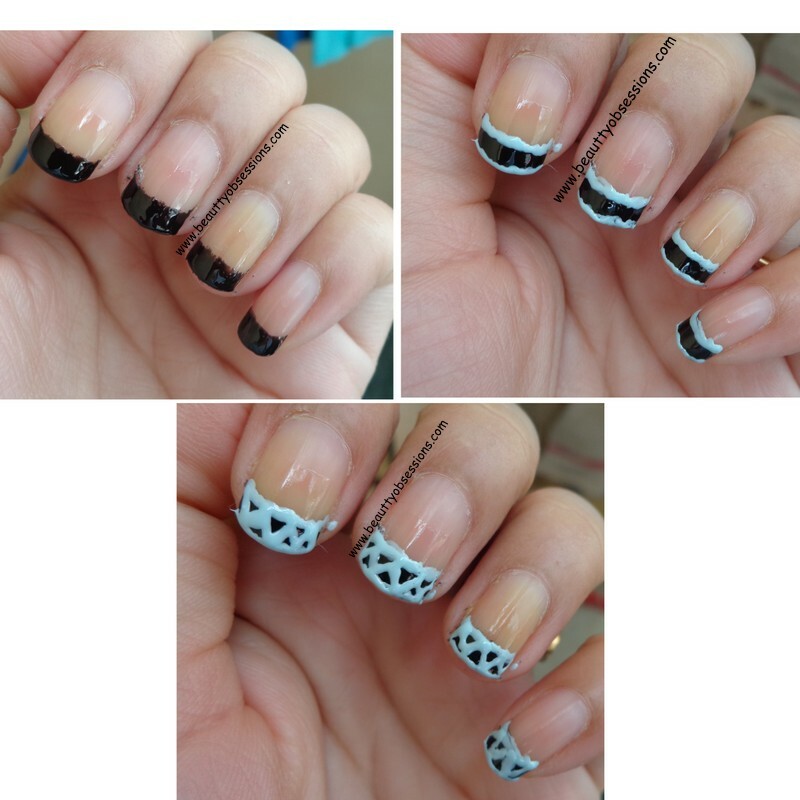 I love French tip nailarts.. Here I have used a black polish to make the French tip.. Along with that I have also used a pastel aqua shade to make some net patterns on the french tip.. And also used red,pink and green polish to draw the rose flower.. I have drawn the rose flower by using the dry marble technique . I have shown the technique on a paper here,because when you are drawing anything using dry marble process ,you have to be very fast .. Hence I am not able to click pic of my nails.. But i have shown the french tip design below with step by step.. Here I am using a fine nail brush or you can use a toothpick as well . and a big dotting tool and small dotting tool. 1- I have shared ,how to make a perfect french tip before (Here) .. But in this picture I have drawn a free hand french tip.. It requires practice.. But you can follow the rubber tip technique like i have mentioned Here. I know it is not a perfect one.. I have drawn this in hurry actually.. Hope you liked my attempt.. Do share your feedback below.. Bye.. So pretty.. You are tempting me to do a rose nail art too..
Its really pretty!! Love the roses. That's so sweet of you dear.. Thanx a lot.. Artistic french tips - so fun! I love the tutorial as well!